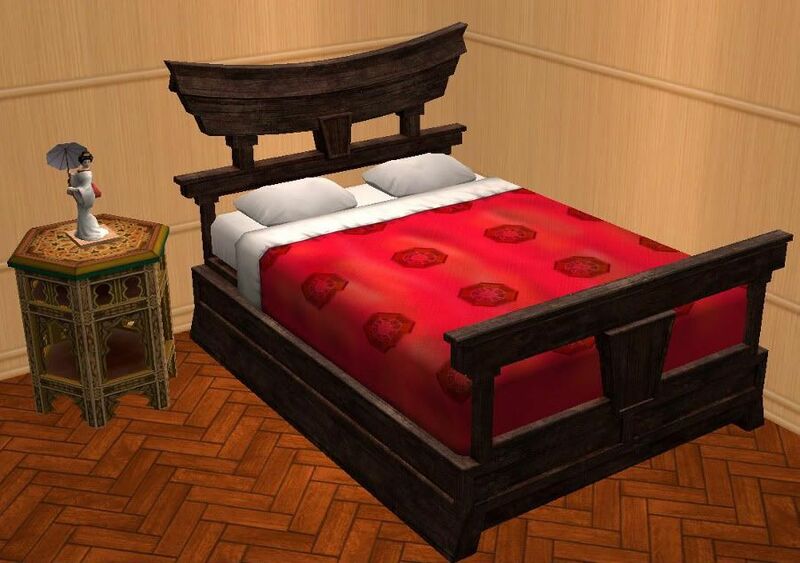 This is The Sims 3 Store Dojo double bed for The Sims 2. The bedding is repo linked to Maxis, so all Maxis bedding, and any custom bedding you have in your downloads folder will show up in this as well. Updated to fix the link. Enjoy! I hope you don't mind me asking, wcif the little figurine? Thnx!